A few weeks ago we had a Podcast listener question where a member of the Irish learning community wanted to know more about the Bitesize Irish team. Coincidence or not, we recently had our first live team meeting in Limerick, Ireland a few weeks ago. Over the next weeks you’ll get a chance to meet the people working at Bitesize Irish with the help of our Podcast and YouTube channel. 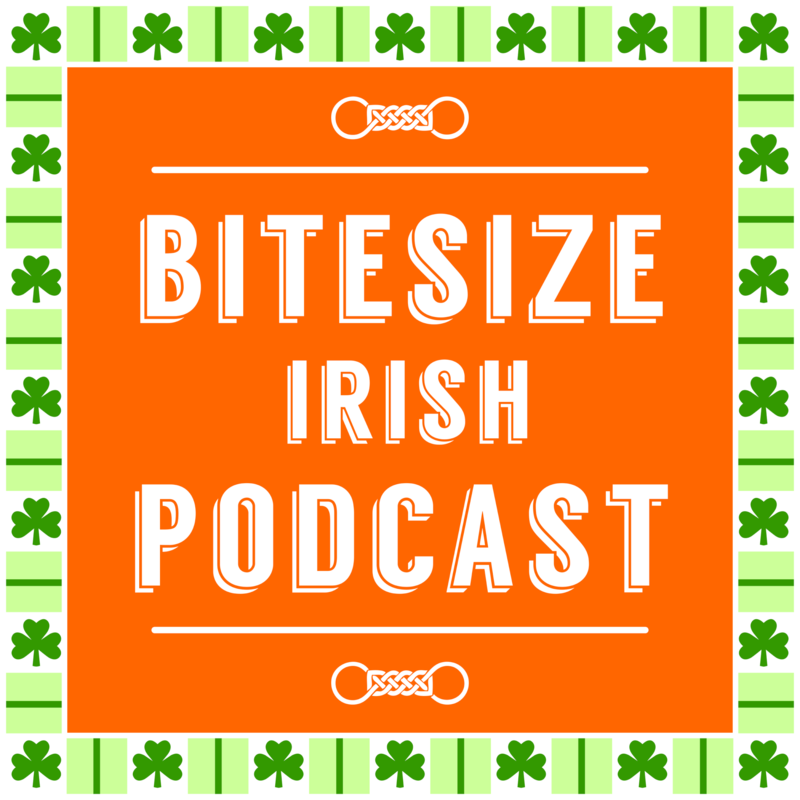 In the Bitesize Irish Podcast episode 80, Eoin talks to Cătălin who works at Bitesize since 2014. 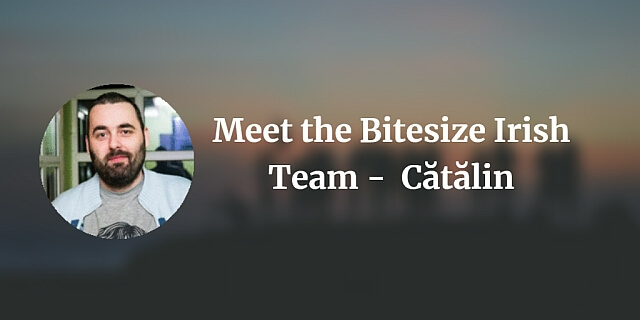 Listen to this Podcast episode to learn more about the Bitesize Irish team, starting with Cătălin who has a variety of tasks at Bitesize including the delivery of the weekly newsletter, social media accounts, developing new products, research and much more. Eoin and Cătălin talk about what’s next for Bitesize Irish, pronunciation and learning Romanian, the live meeting in Limerick, travelling from Romania and more. Listen to this Bitesize Irish Gaelic Podcast – episode 80 and maybe record your own question? You can ask anything about learning Irish or about Bitesize Irish Gaelic. To do this, just go to our Podcast page and record your message. It’s useful to write your question before recording and to make sure you’re in a quiet place so there’s no background noise. I’ve been listening my way through all of your podcasts. I’ve listened from episode 1 up to episode 83 and am about to start episode 84. I had two questions for you. 1.) It seems like this (ep. 80) is the last episode that comes with show-notes. Are you still continuing to follow up episodes with show notes? I find them a great start for resources when wanting more information after listening to your podcasts and it’s great to see the comments by other listeners as well. 2.) At the end of each episode you say the name of the band that plays the music featured in your podcast but I was wondering how the group is spelled. Sounds like “tu kumo”? They work perfectly fine if I just enter in the correct episode number in the URL. Problem solved! So cool to hear that you’ve listened through the podcast!